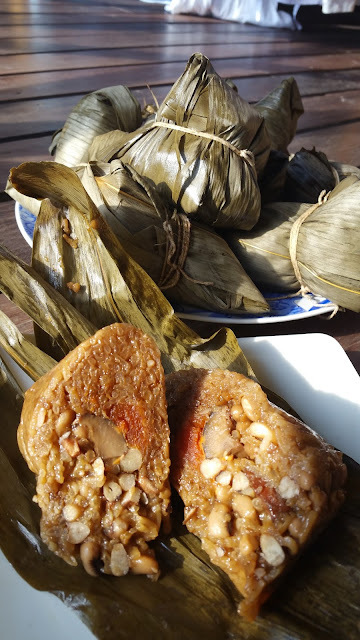 Growing up never i remember my parent ever make zongzi ourself. 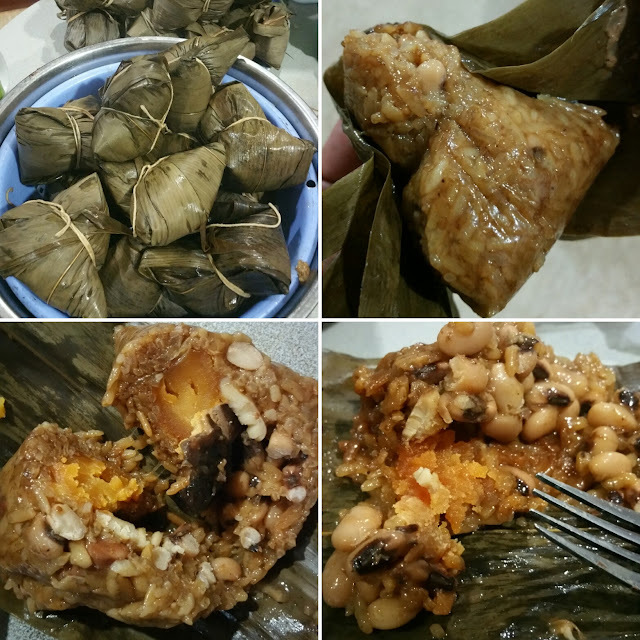 15 years ago, my sister learned zongzi making from one of our cousin and since then she is the only expert in the house. Unfortunately we were no longer living together in the same country, so i can only imagine how tasty and delicious those zong were those days. 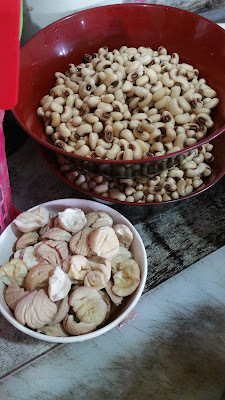 I remember bought some last year but still prefer to eat my family ones. 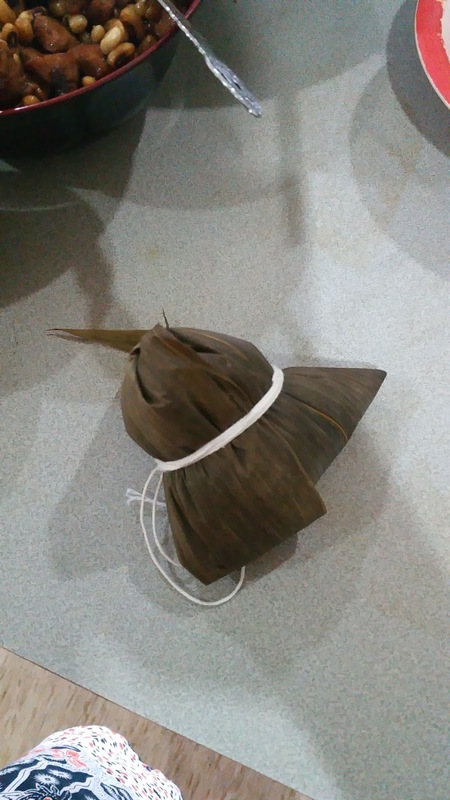 She did teach me how to make zongzi many years ago, but i wasnt really concentrate and remember the steps of wrapping, wrapping is the most crucial part that discouraging me to start making my own. 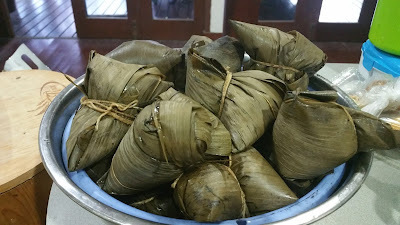 well well....this year, i tell myself i should get started or will end up buying the same zongzi again from outside...haha... conclusion i decided to make them, and so i call my sister in malaysia get the recipes and for wrapping wise, i do alot of google searching and video watching here and there. 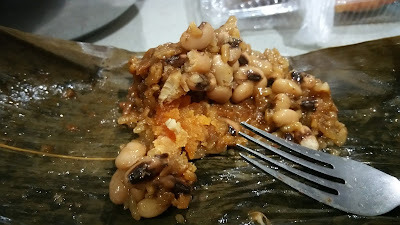 In Sabah, there is one zongzi i love the most is with black eye peas, i can just eat black eye peas with nothing else. 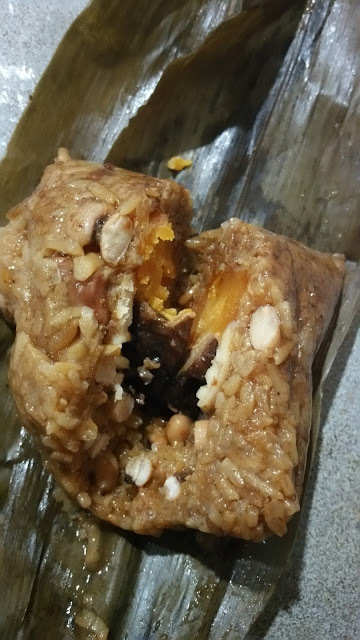 So basically i make this zongzi fills with lots of black eye peas lol* i do not know is this categorize as chinese Hakka zongzi or chinese sabahan hakka way, because there are variety of zongzi in chinese tradition. 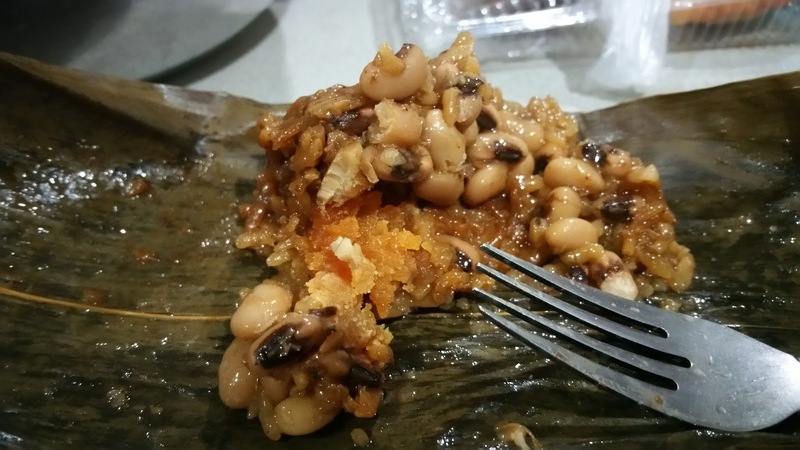 As long as i can remember, black eye peas filling is the only beans with meat zongzi that i've ever eaten during those days. 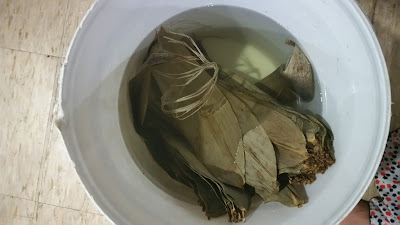 * Soak the bamboo leaves overnight. The next day, wash and rinse each leaf front and back, keeping them in a large bowl or tub of water until wrapping time so they don’t dry out. Soak glutinous rice, black eye peas, mushroom, chesnuts each in separate bowl overnight. The next day, drain completely. 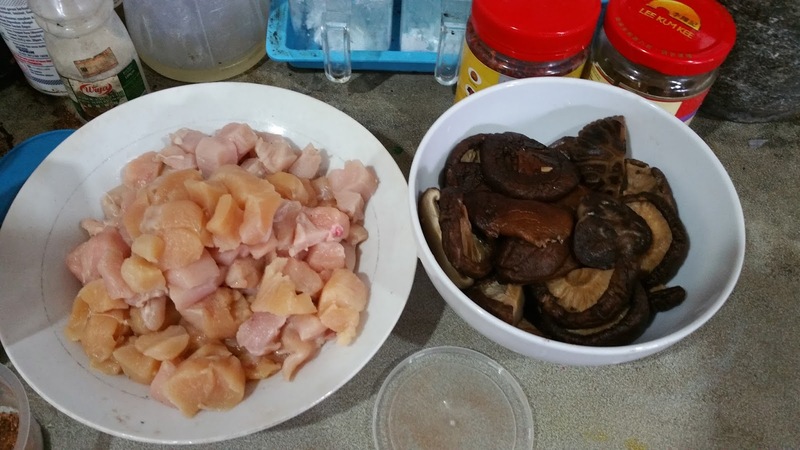 Marinate chicken with oyster sauce and leave overnight. * Cook ingredients A set aside, and with a clean wok. * Cook ingredients B set aside to cool. Dish out chesnuts and mushroom, put in a separates bowl. 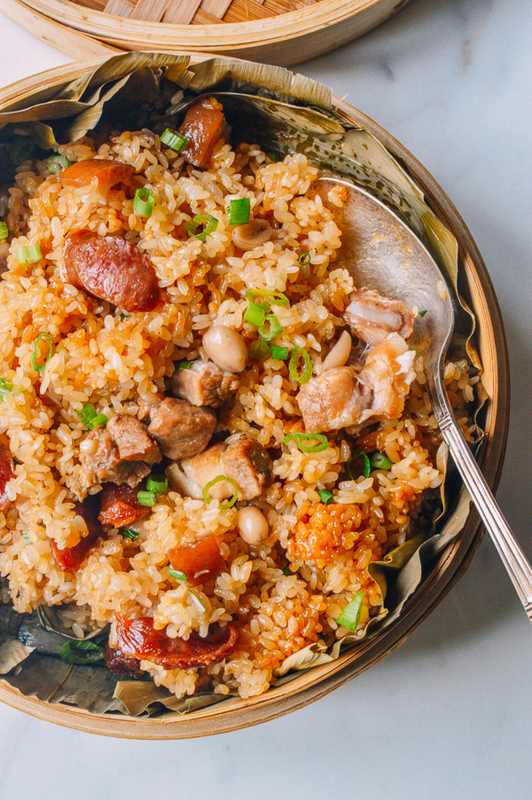 Black eye peas and chicken mix together in one bowl. 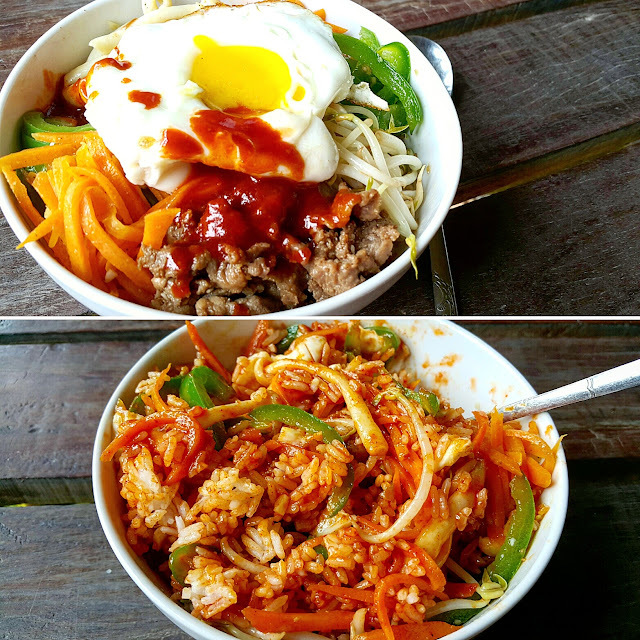 * Cut the egg yolks in half. 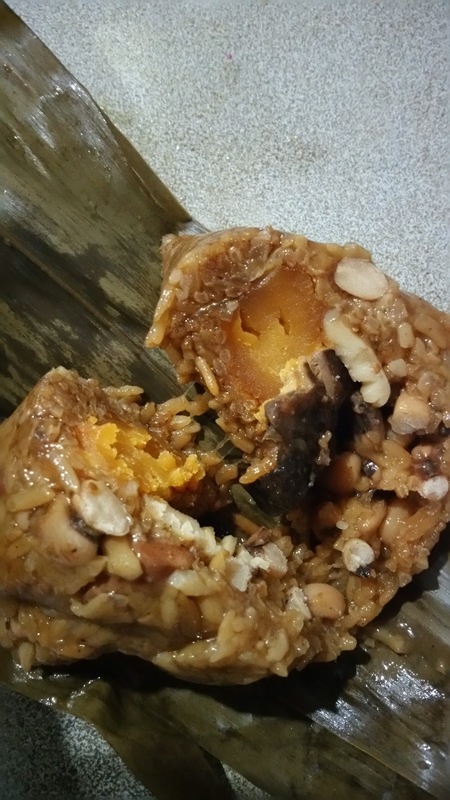 Can use 1 whole yolk if you have enough for each zongzi, Set aside in separate bowls. 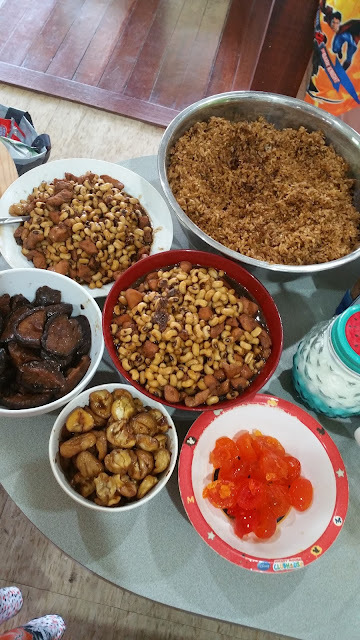 * All set to wrap. * Fill zongzi in a pot avoiding large gaps, put as close as possible. 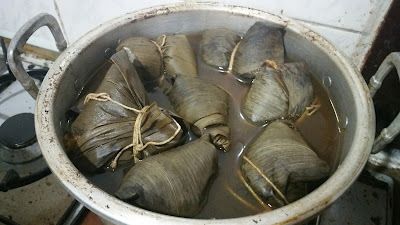 Use a soup bowl to fill water and add salt to every bowl of water on refilling into zongzi. 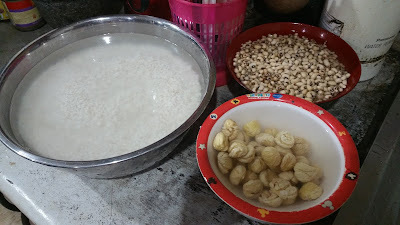 Fill water to cover all zongai. * Place pot on stove over medium high heat. 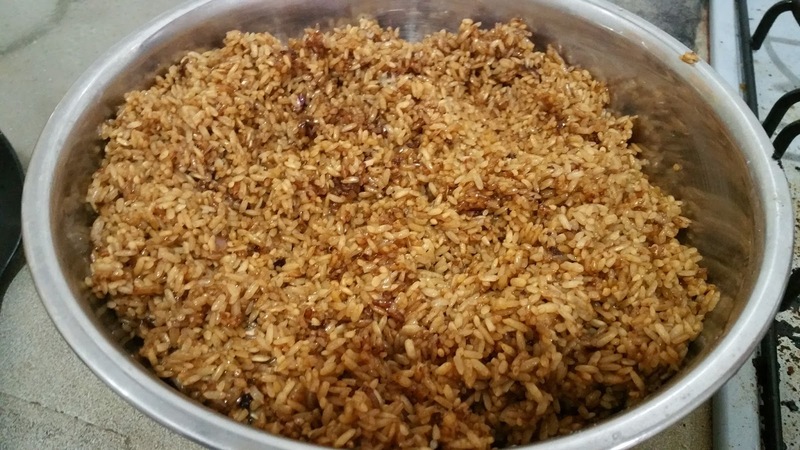 Once the water boils, turn heat to medium and let it cook for at least 4 hours. 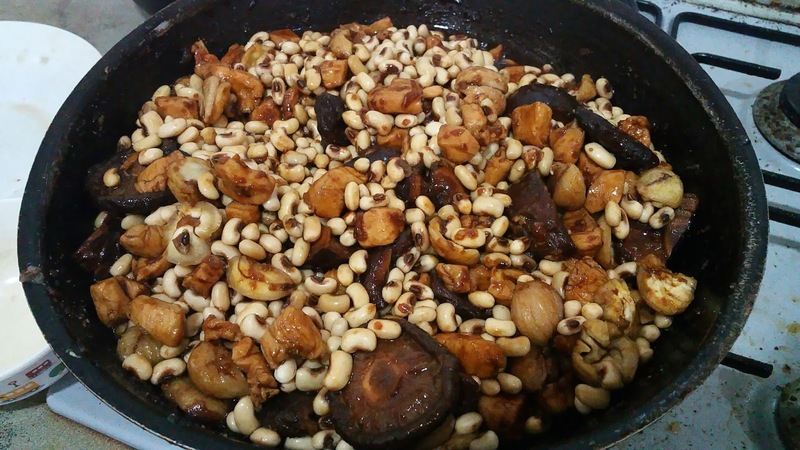 * Cooking with a electrical Pressure Cooker will only take 45-50 minutes fully cook through. * Please check and keep en eye on the cooking process, adding water with salt into pot when water reduce, and make sure all zongzi is equally submerged in the water. 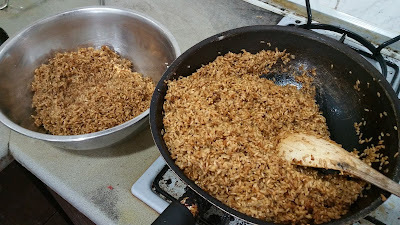 * After 4 hours cooking, dish up and discard water. * serve warm. Extra zongzi can freeze up to 6 months. Glutinous rice, chestnut, black eye peas and bamboo leaves soak over night. beans all looking clean and have expand double in size..
Cook chestnut, mushroom, beans and chicken season well. 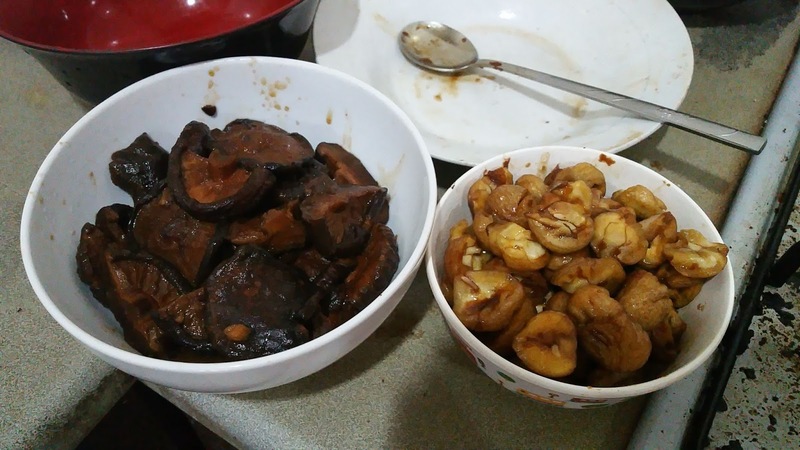 After dish up, separates mushroom and chestnut in a separate bowl for easy wrapping. so it is all equally tasty.